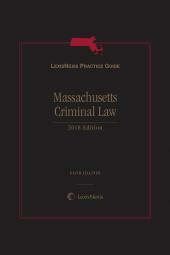 Practice guide covering the entire process of an OUI case in Massachusetts, from the initial client contact through trial and post-trial motions. OUI is a serious crime. Conviction can result in license suspension, steep fines, and jail. 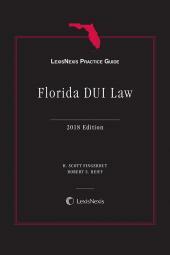 The attorney practicing in this area needs to understand all the required elements of an OUI charge, the bases for attacking the charge, the use of expert testimony, and the trial considerations unique to OUI law. 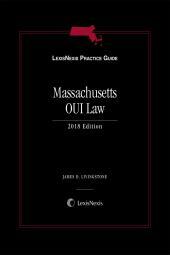 LexisNexis Practice Guide: Massachusetts OUI Law provides coverage of all these areas and more. 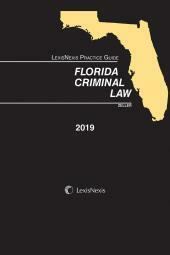 With its concise writing style, streamlined chapter format, abundance of checklists and forms, extensive references to leading and related cases, statutes, and regulations, and authoritative guidance, you'll find more of everything that makes a practice guide valuable and easy to use. 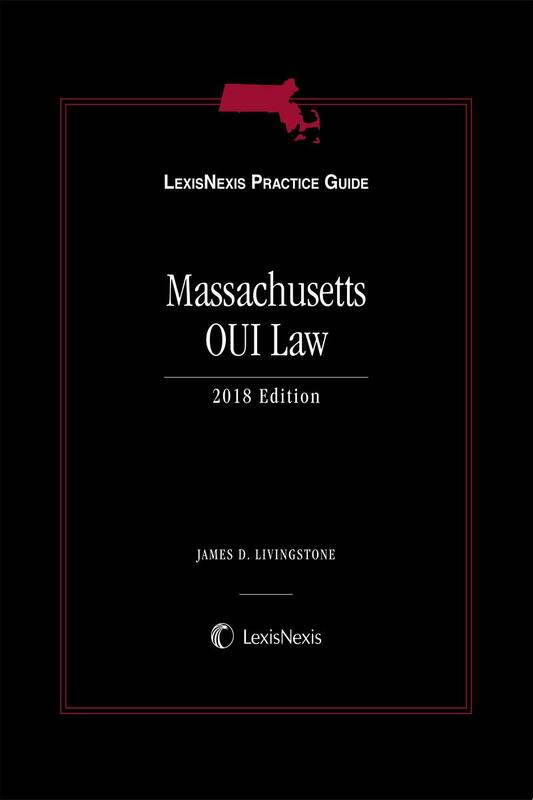 Topically organized, LexisNexis Practice Guide: Massachusetts OUI Law covers the entire process of an OUI case in Massachusetts, from the initial client contact through trial and post-trial motions. Each Practice Guide chapter combines authoritative legal analysis with an expert author's practical insights, distilled from years of litigation practice. Practice Tips address Strategic Points, Warnings, Timing, and Exceptions, providing a smooth transition from legal analysis to practical application of a point of law. 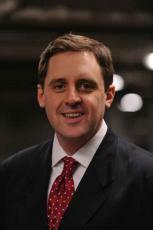 James Livingstone is an experienced criminal defense lawyer and trial attorney. Mr. Livingstone serves as of counsel at the law firm of Employee Rights Group LLP, where he defends criminal cases in Massachusetts state and federal courts at trial and on appeal. He has prosecuted and defended operating under the influence charges at all stages of proceedings, including to jury verdict, in Superior Court and District Courts throughout Massachusetts. Prior to working at his current firm, Mr. Livingstone was an Assistant District Attorney for the Middlesex County District Attorney's Office. There, he represented the Commonwealth in Middlesex Superior Court as well as in District Courts and Juvenile Courts throughout the County. Prior to joining the District Attorney's Office, he worked in private practice and in the Attorney General's Office in the Commonwealth of the Northern Mariana Islands as the Chief of the Civil Division. In June 2013, he was elected to the Massachusetts House of Representatives to represent the Eighth Suffolk District.